Experience SuperPark Uppsala whichever way you want! We offer single tickets, family tickets, multi tickets, group tickets and memberships. Buy single tickets and multi tickets online. Family tickets and memberships are sold only in the park. Wristbands are received in ticket sales in the park. Please observe that cash is not accepted in the park. Every guest is required to have their own wristband. Wristband is paid when entering the park for the first time. Price is 40 SEK/wristband. You get the wristband free of charge when you sign in as a SuperPark United member in the ticket sales. – with mobile phone using the SuperPark APP. Please observe: No cash in SuperPark Uppsala. I want to buy a ticket online for my child. How does it work? You will receive a confirmation of the booking with a QR code by email. You can forward the mail or send the code to your child as an image. This QR code activates the wristband. Activation can be done by you or your child using the APP or self-serving kiosks or by us in the ticket sales area of the park. Can I keep the wristband after my visit? Sure, we actually recommend you do so. Your next visit will start much more smoothly if you have the wristband already. Its a also a cool accessory when you are outside the park! SuperPark App will be available on Google Play and Apple App Store later this summer. You’ll find the download link also on this website when it’s available. How do I activate the ticket to my wristband with the SuperPark App? You can activate the ticket if your phone has NFC feature and it’s enabled. Please notice that tickets will be valid for selected period from that moment when you activate the ticket. I have lost a wristband that had an active season pass registered to it with plenty of time left. How can I reclaim this season pass? Visit the reception desk at your park and tell the staff present about your lost wristband. Your wristband will be replaced and any active products from the old one will be transferred to the new wristband. Fee applies to the new wristband. The ticket is valid for the selected date only. Confirmation of the booking will be sent to your email once the payment is completed. Same price for adults and children 3 years old or above. Children 0-2 years old have no charge. Any child aged 7 or below must be accompanied and supervised by a responsible adult with a ticket. Proof of birth date may be required upon check-in for children below 3 years old. 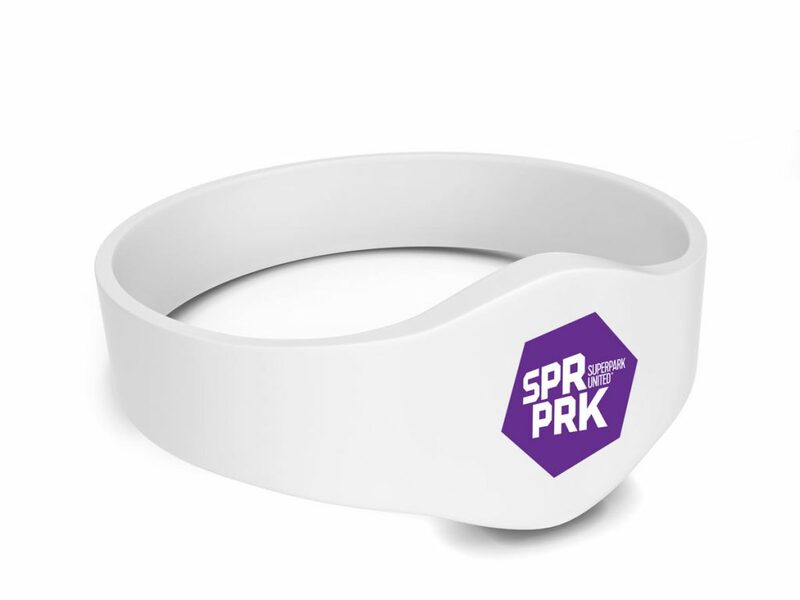 SPRPRK wristband is personal. First time visitors pay for their wristband(s) in webshop or in the park. Customers inside the park without a valid ticket or wristband will be liable for a surcharge of 1000 SEK.